As you can see from the date of our last blog, we have not been regular enough in keeping our supporters and prayer partners abreast of what’s been going on here at Kingdom Driven Ministries. Facebook friends of Marc Carrier or Isaiah Carrier or Glenn Roseberry get regular updates that way, but unfortunately the blog has not been kept up very well. Perhaps we ought to make a resolution for 2018 but then, we’d have to let our yes be yes (Matthew 5:37), and it’s probably not wise to make that commitment. Silence on the blog is not because there isn’t much going on; in fact, we’ve been so busy doing the work that we have little time to write about it. 2017 has been an amazing year and God has done great things! We recently looked at our 2017 financials in preparation for doing year-end accounting, which seemed a good way to present our year in review and let you see just a bit of what’s been going on here in East Africa. 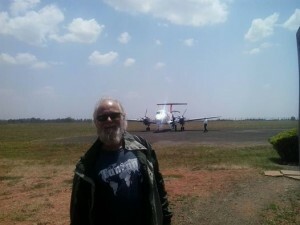 The financials do not represent any of the work done by Glenn Roseberry (primarily in Tanzania and Nairobi), as this is independently managed and accounted for. Glenn provides regular updates via Facebook, so that is a good place to catch up. 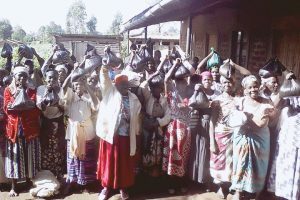 The work reported here focuses on Kitale-area fellowships and evangelism, and various programs in the Carriers’ village community and the surrounding area. Below you can see the breakdown of funds by percentage and category. In summary, we spent approximately $47,000 in Kenya. 27% went to medical treatment; 14% went to feeding the hungry; 10% was invested in clean water projects; 8% went to jigger treatment; and 10% went to other Great Commandment work (includes funerals, housing, weddings, and other services for the poor and needy). 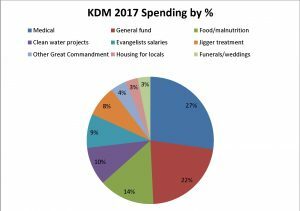 Therefore, 69% of KDM’s Kenya budget went directly to support the various needs of the poor in our area. 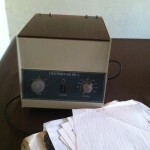 The remaining funds supported our team of evangelists and “overhead,” or General Fund expenses. 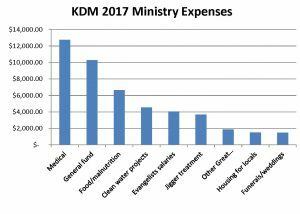 General Fund expenses do not include support of any American missionaries; this type of personal donation can be made through KDM but must be earmarked as such. Instead, our General Fund (GF) provides a salary to a number of indigenous brethren who provide valuable services in evangelism, discipleship, and program management. To help you see how these GF funds are allotted, let’s look at November 2017 as a representative month (although every month is different). To do both Great Commission work (kingdom expansion) and Great Commandment work (assisting the poor and needy), we need to have legal authorization, be able to communicate, have a place to work, and a way to get from place to place. That makes up our “overhead,” which is taken from the General Fund. 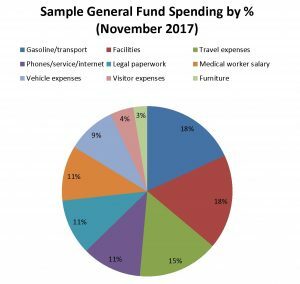 Gasoline and public transportation used up 18% of our General fund spending in November. That was higher than normal because of hosting an American visitor (we used the car rather than motorcycle several days per week which consumes much more fuel). Legal paperwork consists of keeping passports and work permits current, and going to Nairobi necessitates overnights and meals. There were two such trips during November, though this is a bit atypical. Our facilities are paid for, but during November we upgraded our solar to accommodate two additional families (KDM workers and brethren) in our compound. We also upgraded two phones for field workers. The General Fund pays salaries for four field evangelists. 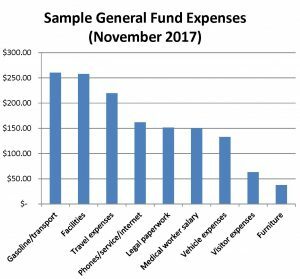 During a normal month, the manager of our medical program is paid out of the Medical budget, but since there was a budget overage during November, his salary was paid out of the General Fund. Taking an estimate from our November figures, General Fund expenditures are about 50% devoted to the Great Commandment (helping the poor) and 50% to the Great Commission (spreading the gospel and making disciples: kingdom expansion work). Overall, then, approximately 80% of our total budget assists the poor and needy, and 20% is applied to kingdom expansion. However, this does not in any way represent the proportion of effort applied to the two tasks; it is just that the Great Commandment work requires more funding than does the Great Commission effort. With that said, this is a brief summary of spending, not results. Let’s put a face on just a few of this year’s numbers. As you can see from the graphs, the lion’s share of funding goes to our medical program, which we allocate as “regular medical” and “special medical.” We spend approximately $300-$400 per month on acute medical needs among the impoverished in our village: treating malaria and typhoid, broken limbs, various infections, and so on. We send an average of 15 such patients per month for treatments at our local clinic or hospitals. Larger medical needs are solicited on a case-by-case basis. One of the most expensive cases we took on this year was that of Mary Nelima, a 42 year-old mother of three who was the victim of a motorbike accident in 2012. 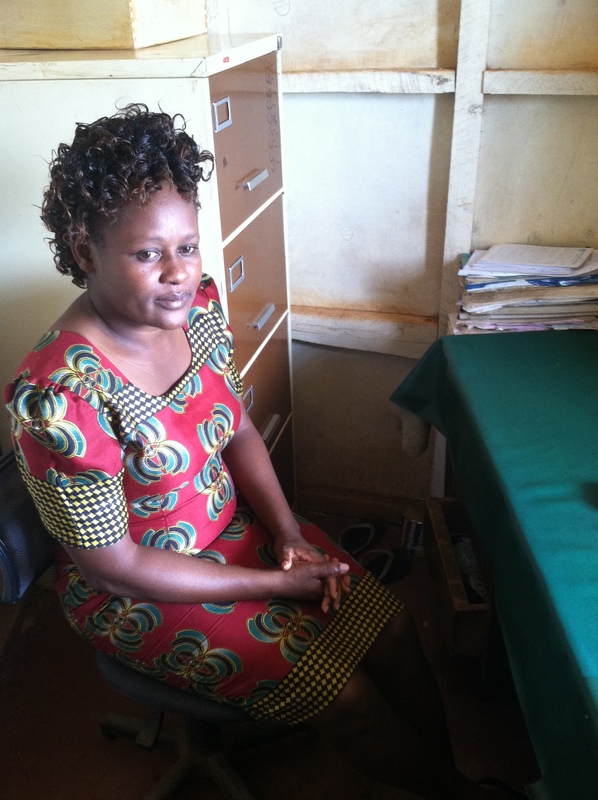 Her medical care for a shattered femur was minimal because funding was simply not available. Once she was left disabled, her husband abandoned her and she was forced to return to her parents’ home along with her three children. Unable to work, you can imagine the life that she and her children have lived for the last five years. When she developed signs of infection in her leg (pain, pus discharge, and even splinters of bone coming out of a now-festering wound), she came to us for assistance. 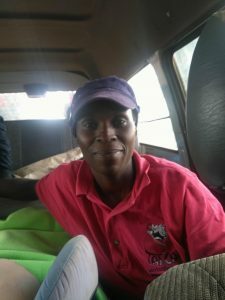 We took her to a private, orthopedic hospital and were given an estimate of $3,000, which we assumed would take care of existing infection and address a long-term solution for her leg. Instead, she was immediately admitted and treated for chronic osteomyletis (bone infection), which had progressed for so long that it was very hard to treat. And because it will likely return, no further work was recommended by the surgeon. Mary spent three weeks in the hospital, where her bone was scraped repeatedly and she was given strong antibiotics by IV. Eventually, the infection was brought under control and she has been discharged, though she continues to take oral antibiotics at a cost of approximately $100 per month. The outcome was not what we had hoped for (in terms of allowing her full use of her leg), yet she praises God for healing the infection and all of its effects. Please pray with us that though diagnosed as “chronic,” the infection would not return. Violet Osia was just one patient who came through our regular medical program during the month of October. She is a widow and mother of two who lives in our village. Her husband passed away two years ago after being poisoned by “friends” while drinking alcohol, thus leaving the responsibility of raising their two daughters with Violet. Just a few weeks ago, Violet’s neighbor broke into her single-room house and stole several bags of dry maize which Violet had stored for her children as food during the hunger period. When Violet confronted the neighbor and demanded that he return her property, the man got extremely angry at her, finally chopping at her hand with his machete. Violet’s two small children watched in horror, unable to help their mother, as the neighbor ran away. Thankfully, some good Samaritans rushed her to us so that she could receive the necessary first aid. Our evangelistic efforts have resulted in large numbers of baptisms and our evangelists and teachers are also devoted to ongoing discipleship. 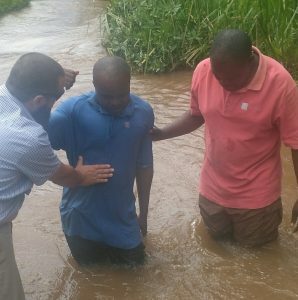 One of our evangelists, a former Imam, has slowly but surely been exposing his multi-generational Muslim family to the gospel of the kingdom, and we rejoiced when his younger brother renounced Islam, repented of his sins, and was baptized just months ago! 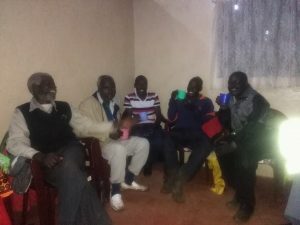 One of the highlights of our year has been instituting weekly kesha (the Swahili word for “watch,” which also refers to the practice of an all-night prayer meeting) and monthly multi-day, corporate fasting meetings. This has been great for discipleship, as we spend some time teaching, but it has also fostered an incredible unity among the brethren and we have really seen an operation of the gifts of the Spirit as we gather together regularly. Attendance remains high and we rejoice to see how God has so faithfully answered our prayers: guiding the mission here, strengthening the brethren, growing our fellowships, and bringing healing and deliverance. We praise God for all He has done this year, and hope that this little glimpse will show you how many lives have been impacted for the kingdom of God because of you, our faithful supporters. Please continue to keep us in prayer during the coming year. The monthly gifts we receive towards our medical missions program are the lifeblood of our work here in the village, where many impoverished people often have to choose between food and medicine. Everyone likes to hear about the impact of their generosity. Photos and stories are a great way to give that feedback, and we strive to let folks know that what you are doing makes a difference! But sometimes at the end of the month, as we try to faithfully report how many and what maladies have been treated, it seems that everyone “just” has malaria. Perhaps there’s really nothing glamorous about treating a bunch of people for malaria, but don’t think it’s nothing. 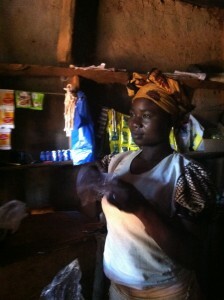 Come with me as I introduce you to Silvia, the daughter of one of the wazee (“old men”) in our fellowship. 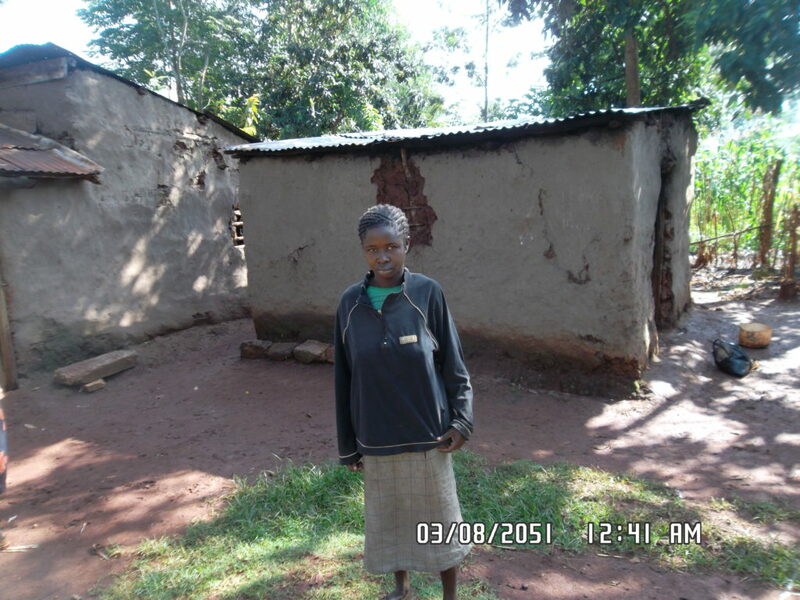 Silvia exhibited symptoms of malaria in 2010; she was a normal, 19 year-old village girl who lived at home and helped with the daily tasks of fetching water, making meals, and whatever else needed to be done. At the time, money simply wasn’t available to treat her, but that so often happens here. Many don’t have 100 shillings ($1) to buy malaria medicine, so they go to the local shop and get a small package of two “Mara Moja” tablets (the equivalent of Excederin). The fever goes down temporarily, the body aches subside, and if you asked them if they took medicine, they will say, “Yes!” But the malaria is still there. 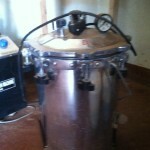 The fever may never go down below 100 degrees Farenheit, even with the Mara Moja. But it’s better than it was, it allows for some sleep, and things seem better for a few hours. Then what? This cycle can go on for days, even a week or more. Such was the case with Silvia. And unfortunately, because of the delay in proper treatment, her malaria took a turn for the worse…it crossed the blood/brain barrier and became “cerebral malaria.” Treatment, in this case, is usually too little and too late. But she lived, praise the Lord. 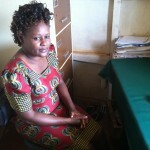 Even so, now she has frequent epileptic seizures and takes daily pills (when the family can afford the 90 shillings to get a month’s worth of medication). She has also visited our District Hospital more than once for psychological examinations and medications. On good days, she can function in a normal manner. But there are many not-so-good days. Her father has sadly reported that “she only wants to get married and raise a family like other girls her age!” but he knows that, because of her physical and psychological deficiencies, she will be at home with him until he can no longer care for her. And then what? These are the effects of untreated malaria. 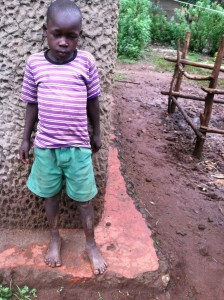 We thought of Silvia recently when our own 8 year-old son, Micah, came down with malaria. We are fortunate that at the first sign of fever, we can take him to the local clinic for a test. 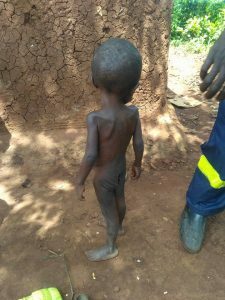 He got an immediate injection of malaria meds (the first of three daily injections) and a Diclofenac injection for his fever, as he was nauseous and vomiting and couldn’t take oral medication. We were thankful to see improvement within just an hour, and saw a light at the end of the tunnel when he was able to enjoy spaghetti supper with the family without vomiting. But by the next morning his fever was back up and his nausea had returned. We went back to the clinic for his second injection, and he immediately fell asleep on the couch when we returned home. I (Cindy) was working in the kitchen preparing lunch a couple hours later when Micah came in to talk to me. I could see that he looked a little “out of it”–his eyes didn’t seem to be focusing on me. His voice wavered, and I realized quickly that he wasn’t even speaking in coherent sentences. He would enunciate a few words, then falter off into mumbling. Trying again, he seemed to be trying to communicate something totally different, but still with the same result. I put my hands on his head, prayed for him, and sent him back to the couch with some rehydration drink, hoping for the best. The rest of the afternoon passed with some uncertainty, we being very concerned at the possibility of cerebral malaria and what it could mean. However, there was not much that could be done outside of prayer, as he had already begun treatment. Thankfully, by the next morning, Micah had returned to himself. After his third injection, he was back to complete health. But it’s not lost on us that the outcome could have been far different. It was for Silvia, and for others that we know in our village. And, if we did not have faithful donors assisting with timely malaria treatment for our community and folks in our fellowships, the statistics in our area might well be far worse. Doctors at our partner clinic, Solonamu Medical Centre, helped us to understand the risks associated with malaria a little better. They acknowledge malaria as perhaps the worst disease in Africa. 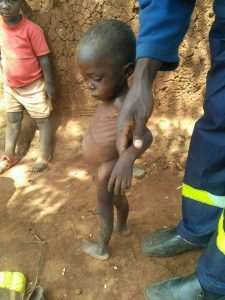 The World Health Organization reported almost a half-million deaths from the disease in sub-Saharan Africa in 2015, the majority of them children. Severe malaria, and its permanent health effects, typically occur as a result of delayed treatments, particularly if the delay is a week or more (which we have found is not unusual). Cerebral malaria is among the complications that arise. Other complications can include liver or kidney failure, or rupture of the spleen. Untreated malaria can lead to chronic re-infection, as the parasites “hide” in the liver and re-emerge at a later point in their reproductive cycle. Aside from the physical effects of the disease, there a couple of other problems associated with malaria: one, folks typically can’t afford both a malaria test AND medicine, so they usually self-diagnose and self-treat. The over-use of certain drugs (even when malaria is not actually present) has led to resistance to some types of anti-malaria drugs commonly used for treatment. However, as more and more people in a community are able to get proper diagnosis and treatment, not only is their individual health improved and risks avoided, but fewer people in their community will be infected with the disease. Though it is unlikely that malaria can be eradicated in endemic regions, the effects can certainly be ameliorated. Lab confirmation of malaria and timely treatment are vital! This is the work of KDM: referring the sick to the clinic, and getting them treated as soon as possible when symptoms of malaria occur. Sending someone to the clinic, getting them tested, and medicine in the form of tablets or injections might only cost $8 or $10 (with the cost of transportation by piki piki included). We rely on our donors to accomplish this every month…so know that when we are “just treating malaria” (even if there aren’t any dramatic stories to tell), you are making a significant difference in someone’s quality of life, and in the overall health of a community at risk. God bless you for your heart and your generosity toward this work. If you are not giving regularly toward KDM’s Urgent needs/Medical fund and would like to, feel free to visit www.KingdomDriven.org/donate. Bibles are available in Swahili, but a full Bible is expensive and thus, not available to the masses. When you only make about 300 shillings a day ($3) and most of that goes to household expenses, you’re not going to go out and buy a 900 shilling Bible. It’s almost an impossibility for the average villager to save up enough money to buy a full Bible if they have pressing family responsibilities. Though Kingdom Driven Ministries would love to see everyone have their own Bible, we also know that without some “skin in the game,” if you will, a Bible freely given is likely going to sit on a shelf as a showpiece, collecting dust. Thus, it has generally been our policy to give Bibles only to those who have surrendered to Christ, repented of their sins, and been baptized into new life. We encourage all new disciples to take the study of the Scriptures seriously for their own spiritual growth. We have partners who help us buy Bibles, but the cost has even given us pause. For a while, we were able to buy New Testaments, as opposed to full Bibles, and this seemed a good solution. New Testaments were more economical and, as a friend of ours has said, a New Testament lets people “meet Jesus on the first page.” However, this changed recently when the Kenya Bible Society stopped publishing its New Testament. After some conversations with ministry partners, we decided to embark on a New Testament publication project. We found an open-source Swahili translation online, but it needed work–it had some errors, and was in fact missing the book of Philippians! With a micro-loan secured to pursue the project, we hired a well-recommended translator, who polished up the open source text and translated Philippians, primarily from the NASB. 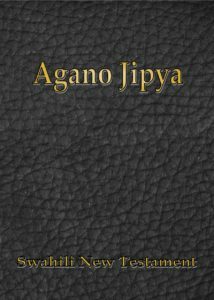 With review, and a faux-leather cover design completed, the Swahili New Testaments were near-complete. We organized with a Nairobi-based printer for a print run of 3,000 Bibles–that gave us the best price for a quantity that would fit in a limited storage space. 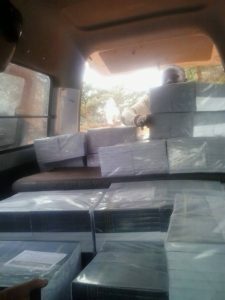 Must admit, picking them up in a mini-van had us worried about the weight after we realized just what a quantity of 3,000 New Testaments looks like! This was only the beginning! Back to front, the van was full by the time all the Bibles were loaded. Bible distribution is an ongoing work of KDM, and with your partnership we are able to do more! If you would like to contribute to this aspect of the ministry, visit www.kingdomdriven.org/donate. A donation earmarked toward “The Great Commission” can be used for Bible distribution, or note “Bibles” during the checkout process. 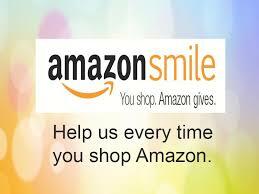 Many thanks to all of our partners who help us get the Word out! What does it look like to live in a developing nation without electricity, without supermarkets, without automobiles, without all the myriad of things that many people use every day? What does it mean to live in a village where supermarkets don’t exist? A village with very small shops with very few items? This scenario is typical of many small, African villages. Life can be simplified in two ways: voluntarily, or involuntarily. Simple living asks, how little can a person live with and be satisfied? Or perhaps, how much a person can live without and still be comfortable? Poverty can serve as a strong catalyst in simplification of one’s life. Poverty itself can also be either voluntary or involuntary. Because of the simplicity of many villages of Africa, supermarket is among the unfamiliar terms which very few people will understand. Small canteens and tiny shops (usually called duka) are what serve the order of the day. Supermarkets are only found in bigger cities and major towns. 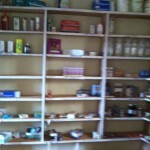 In the village duka, you won’t find the secondary needs on the display, only the basic needs. You won’t find the luxurious things of life, only the necessities. Here you won’t purchase monthly supplies, only daily supplies. 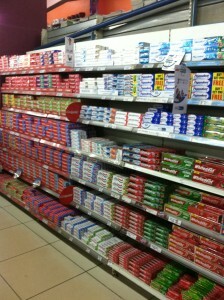 In a supermarket, customers can walk through the aisles and pick up what they need. A duka is usually fully closed-in; customers choose from visible inventory and the shopkeeper passes it through an open window. 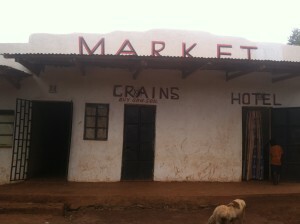 Most villages have at least two to five shops, which meet all the demands of the villagers. 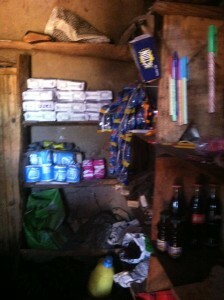 These shops sell only basics and primary supplies that are necessary for the welfare of the families. The shops usually all sell similar commodities, which mainly are food stuffs and other basic needs: sugar, bread, rice, cooking oil, wheat flour, salt, soaps and washing detergents, sodas, tissues, sweets and few other things. The quantity of washing detergent is usually 10 or 20 grams–enough to wash the day’s clothes. Sugar, and even fresh milk, are sold in quantities as small as 1/2 cup–just enough for the day’s chai. As the old adage says, the earliest bird catches the worm; so, too, are the shopkeepers who wake up early in the morning. Because all village shops sell similar commodities, it is only those shopkeepers who open their shops very early and stay open after the sun sets that will make a higher profit. An average shop will make about 300-500 KSH ($3-5) profit every day, but this profit might change during the harvest seasons as the circulation of money will be higher at those times. These shops are normally open early in the morning at around 6:30 a.m, and close late in the evening around 8:30. 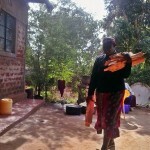 Usually women are responsible for running the shops during the day while men work in different areas, often farming. A shopkeeper can serve a minimum of 30- 50 people every day, depending on the time he/she opens the shop. In many villages the task of running a shop is undertaken by the average, bright minds who are able to deal with little calculations, keeping records, giving accurate balances and accounting. Shopkeepers are viewed as a life -line of village life and a main cornerstone of the community foundation. These small village shops have uplifted the living standards of the village people, providing sources of employment and boosting the economic growth of the nation. I sat and thought about who might be available to bring her to the District Hospital, as our local clinic does not generally do stitching. I offered a couple of suggestions, but it looked like everyone was already busy with patients, or other day-to-day personal tasks. Abruptly, Timothy said, “I will go! I can finish my bundling tonight. I will work late.” (You must understand that when one visits the hospital, there are no appointments, and the wait is long. It was already about 11 AM, so between transport, waiting, and receiving the necessary care, we both knew he’d return late in the evening.) Such is the dedication of our Mzee Timothy! Off they went, and the stitching was gratefully accomplished. One Saturday, another of our church’s deacons, Silas, approached us with a unique problem: a 5 year-old boy and his age mates were horsing around and decided to see what would happen if they put some of the milky excretion from a local plant on each other…and it ended up on the boy’s private parts, which almost immediately swelled and became painful. We brought him to a local health center, which referred him to the District Hospital. Silas took the boy (with his mother) for treatment, and by the next day, with some anti-histamine and other drugs, the boy was thankfully feeling better. We are blessed to see how God has worked through our medical missions team here, to serve the needs in our community and our fellowships. Just this month, our regular budget for medical was doubled through the generous gift of one of our partners; this means that we can do even more! We are happy to report that this month, our regular medical expenses amounted to almost $400, and despite a couple months’ shortfalls for medical, we had earmarked money for all these needs! We praise God and are so thankful for all who make this possible. We also had some special medical expenses, including ongoing cancer treatment for our brother, Victor, who visited Uganda again for a follow-up with the oncologist.The boy, Esau, with the enlarged spleen, returned to the hospital for blood tests to evaluate for sickle-cell, and received more medicine to treat for malaria, “just in case.” We’re still without a firm diagnosis for this poor boy! Our team also organized treatment for Metrine, a young mother with severe pain and disability and one of her hands. After several scans and a consult at a private hospital, she was diagnosed with a rather generic “arthralgia” an d given several medications as well as some suggestions for ongoing physical therapy that might improve both the pain and her range of motion.We’re still waiting to be able to treat Micah Juma’s badly broken leg. Despite two trips this month to the hospital and being on an antibiotic regimen for several weeks, they still have not cleared him for surgery, due to an ongoing infection. Please keep him in your prayers. These special medical expenses amounted to just over $500, and again, we are thankful that God is meeting these ongoing needs with provision through His people! We’ve shared in recent blog posts the desire of Kingdom Driven Ministries to raise up indigenous leaders in our various fellowships. Absent these key leaders, this has the potential to be a one-generation mission rather than a reproducible, sustainable movement of the Kingdom of God. One of our ordained teacher/evangelists is Lazarus Lordia, from our Bidii fellowship. Not only does he oversee the group in Bidii, but you’ll also often find him on his motorbike, traveling between our various other fellowships: teaching, encouraging, mediating conflicts, and baptizing new believers. This month, much of my focus was on building up the local fellowship that meets in my home. I spent a lot of time in discipleship with the young man, Daniel, who was recently baptized along with his wife. He has been experiencing issues in his marriage, and has not had a good example in how to deal with those conflicts. I personally had some difficulties with my wife a while back, and Marc was able to counsel me through them. I applied some of his advice in how I was relating to my wife and son, and I’m seeing a lot of positive changes in our relationships. I am happy to report that I was able to pass along similar advice, and encouragement, to Daniel, because of what the Lord allowed me to go through. I praise God for how He works in our lives, to teach us and help us to use those lessons for the benefit of others. I also continued facilitating leadership training classes on a weekly basis at the Kingdom Driven Ministries office. The goal is to give a solid foundation to all our disciples, and equip those who may be gifted as teachers to be able to share the message of the gospel effectively. 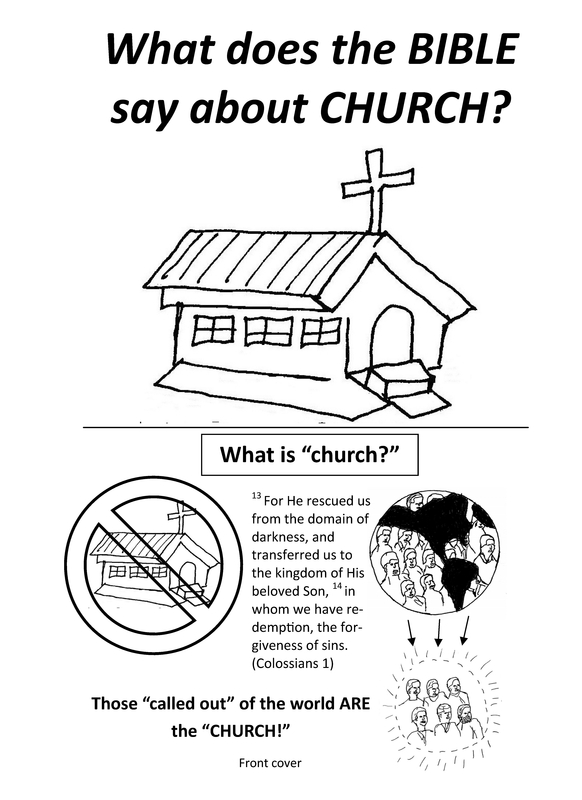 We continue to go through all four of KDM’s teaching booklets in groups of two, to practice how to present teachings on the gospel; surrender, repentance, and baptism; obedience to Christ; and home fellowship. 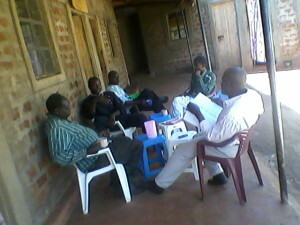 I’ve been visiting the growing churches in Saboti, Mroki, Kamkuywa, and Nasianda. One of the highlights was visiting the fellowship of a former imam, who shared Christ with his neighbor. 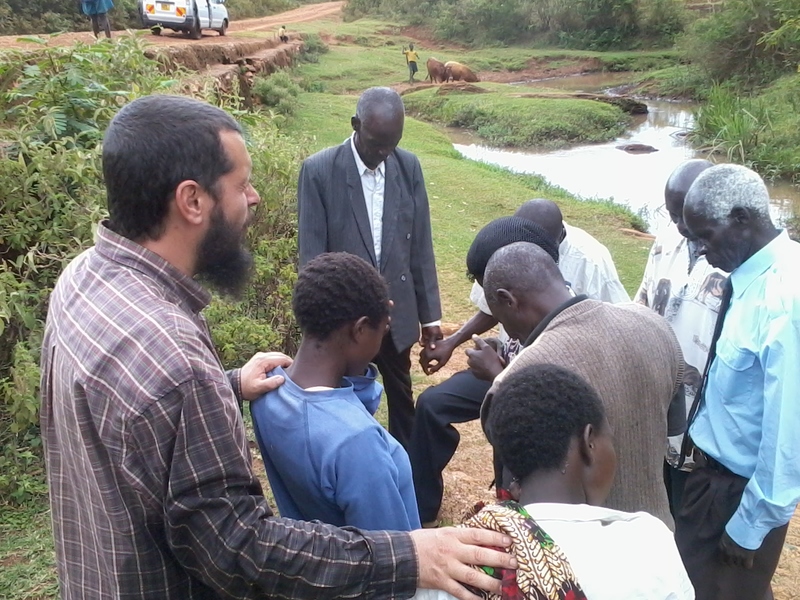 That elderly man, Silas, was baptized this month! For the first time, I also visited the group of young believers in Uganda, where a fellowship was planted by our brother, Nashon Ouma. 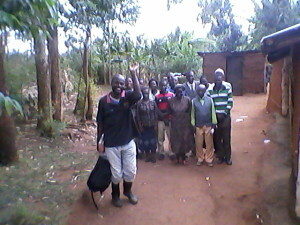 I spent almost a week there, developing relationships and evaluating how they were doing with the Discovery Bible Study. We also baptized one new believer there. We rejoice in what God is doing in and through our brother Lazarus, and are excited to see how God will continue to use him to strengthen the fellowships here and lead new people into the Kingdom of God. Please keep Lazarus, his family, and his work in your prayers. 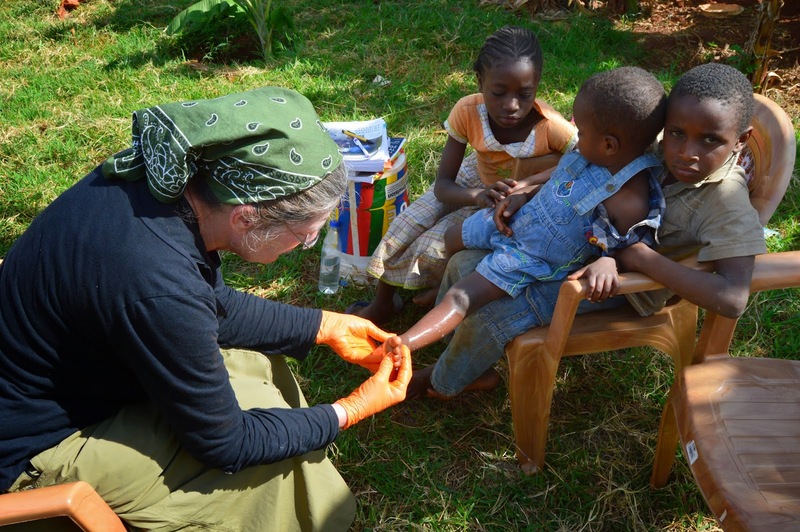 The local government, non-governmental organizations, health institutions, physicians, local discipleship, and KDM donors all play important roles in our medical missions as we serve those in need in our fellowships and our community.. Creating strong methodology that will help to educate the community on the values and necessity of healthy living (i.e., HIV education). Identifying diverse health care facilities and physicians that are also driven with compassion, quality and morality. 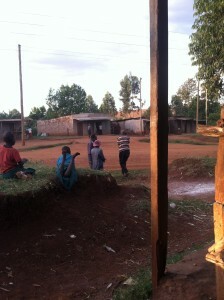 Designing, testing, and spreading methods to improve healthy conditions and reduce the risk for acute conditions, including preventive care and reducing readmission (such as by encouraging families to use mosquito nets and providing community clean water sources to reduce the spread of water-borne illnesses). In our mission to improve and boost quality and accessibility of health care, we have been very closely affiliated with a local health center, Solonamu Medical Center, since 2012. 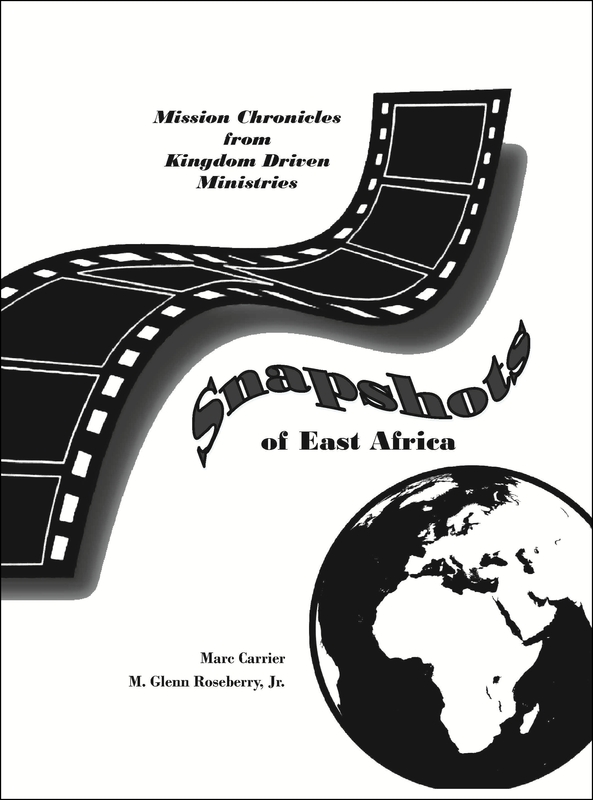 It was founded the same year Kingdom Driven Ministries started its operation in Kenya, 2012. Though it still a small medical center, its dedication and devotion to serving the community and promoting healthy living cannot be understated. In our experience, it has been the most affordable medical center in our area, with a good price for the quality of care and with capable, concerned workers. Solanamu Clinic is currently a small-sized facility, with 3 wards, a lab, a pharmacy, 2 consultation rooms, a kitchen, and one office. They are envisioning to expand their facility to be able to meet the growing demands of special treatments, i.e dental and optical services. Currently they have limited health personnel. The staff is made up of three qualified doctors and five dedicated nurses. They provide 24/7 service, which many facilities do not. That has been a blessing to our ministry, as we have addressed many emergency cases in the late hours of the night. 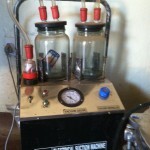 Oftentimes, small-scale facilities such as Solonamu struggle to acquire equipment to provide advanced medical care. Though a relatively new facility, Solona has a microscope for malaria testing, a centrifuge to perform typhoid tests, sterilization equipment, and a suction machine for venom extraction. 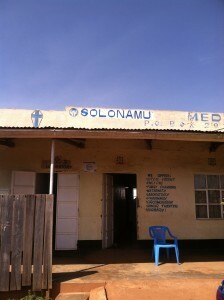 In a period of a week’s time, Solonamu will receive at least 5-10 patients from Kingdom Driven Ministries; they keep accounts until at the end of the month, when the ministry will clear the outstanding balance. (This is an unusual arrangement in Africa, where medical care is pay-as-you-go. We are blessed by the cooperation of Solonamu in this regard.) 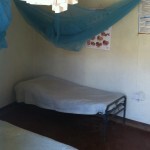 This tiny and efficienct health center serves an average of 20-30 people a day. This facility has been our a great companion in creating a healthy community, especially dealing with small injuries and minor diseases. In major and chronic cases they will refer us to larger government hospital or private medical facility. By the help of these physicians we have been able to accomplish much good for the community and the people we minister to and serve. They have proof the fact that none can do great things in the world but everyone can do small things with great love. People of means, or those used to first-world medical care, might enter the doors of Solonamu and reason in their minds, ” What a poor center for the hopeless people!” While on the other hand, the poor and hopeless passing at the gates of Solonamu, reason in their minds, ” What a lovely center! A center of hope for the poor and hopeless.” Indeed, with the resources that they have available, Solonamu is a quality care center in all regards, and we have been blessed to partner with them for the last four years. Many thanks to all of our faithful supporters who pray for the medical needs in our community, and give so generously to make this work possible! 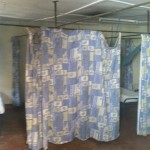 We hope you enjoyed this peek into our partner facility, Solonamu Medical Centre. Kenya public transport refers to air, road, railway, and water transport–the means by which people get from Point A to Point B. Of course, not every mode is available to everyone. Jomo Kenyatta International Airport, Moi International, and Wilson Airport are the leading public air transports in the East Africa region. These three airports link East African nations with each other and with the rest of the world. Jomo Kenyatta International Airport, earlier known as Nairobi International Airport and Embakasi Airport, is the leading public air transport facility in the region. It serves daily an average of 19,000 passengers from Africa, Europe and Asia. The airport was named after Kenya’s first prime minister and president, Mzee Jomo Kenyatta. There are also airstrips that facilitate small aircraft, connecting the capital city, Nairobi, with other small towns: Kitale, Eldoret, and Kisumu airstrips. Uganda Railways service was the major public transport in the region back in the ’50s and ’60s. It was managed by East Africa Railways and served Kenya, Uganda and Tanzania. After the dissolution of East Africa Region in the year of 1977, the nation of Kenya took over the management of the Uganda Railway and all of its local branches in Kenya. The most important line in Kenya runs between Mombasa and Nairobi. In many parts of the country you will see rail lines, but you will never see any trains. Railway transport is no longer available in many parts of East Africa. An interesting read in the public domain about the building of these railroads–relating the excitement and danger of running the lines through lands dominated by “the Big Five,” including some man-eating lions–is The Man-Eaters of Tsavo. Kenya also has a major international port in Mombasa, serving both Kenya and Uganda. Lake Victoria is another big port, which has a ferry that connects Uganda and Tanzania. It is only Mombasa that has a commercial port that reaches international standards. Mombasa’s commercial port is called Kilindini Harbor. Under the management of Kenya Ports Authority, it is located on the Indian Ocean. Of course, in our area, the masses are limited to road transport to get from point A to point B. If you live in the West, this sounds pretty innocuous–but let’s take a trip together and you’ll see a few differences in the way things happen here in Kenya. Public buses and matatu (mini-bus) are the cheapest and most popular modes of transport in the cities and towns of Kenya. For those who cannot afford to own private vehicles or hire a private taxicab or rental car, this type of public transport remains the best and only option. 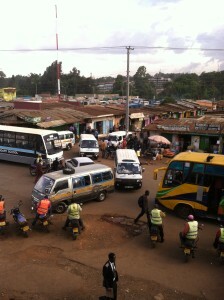 Public buses and local matatu provide both short and long distance travel. Buses are mostly found in the cities and major towns of Nairobi, Mombasa, Nakuru, Eldoret and Kisumu, while matatu are common in small towns and rural regions. Buses are often preferred, as they are much safer, quieter, more reliable, and trusted, compared to matatu, which are filled with loud music to attract travelers and have chaotic road schedules with frequent stops. For many years, the matatu sector was known as the most dark and pathetic industry in the country. It had been linked with violence and reckless driving, resulted in many road accidents and loss of lives–even permanently handicapping some passengers who were fortunate enough to escape death. Other criminal activities have unfortunately been associated with the sector, such as mistreatment of the passengers, verbal and physical abuse, theft, hijacking, sexual harassment, and even murder. At various points, government interventions have tried solve these various issues, but some challenges remain. Public road transport in Kenya is one of the most exciting and intimidating experiences you can ever encounter in your life time! This experience generates both fear, horror and delight in foreigner visitors. These vehicles all travel on rough roads full of potholes and random (unmarked) speed bumps. 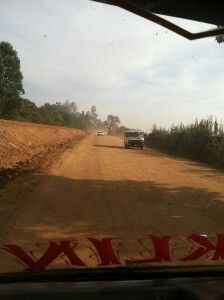 Many of Kenya’s major roadways are under construction, with diversions slowing down travel in many cases. 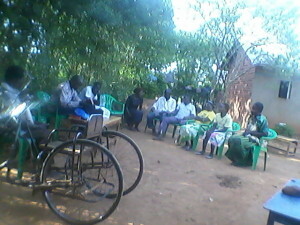 Travel by boda-boda in the villages is often on narrow paths, which are downright dangerous to navigate in rainy season. After your travel is over, you may find that you whisper to yourself, “My goodness, it was a nightmare–and an exciting journey.” Getting around Kenya can be at once horrifying and challenging for those travelers who are not used to driving in congested and crowded environments, or even rough, dusty, unpaved roads. For those who live here, though, it is an accepted part of everyday life, and we are thankful for the modes of transportation that connect us, as well as the continual improvements that are being made. 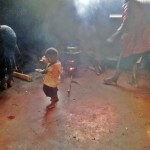 Many people in Kenya celebrate Christmas, but not in quite the same way that Westerners do. No Christmas trees, no Santa Claus, no nativity scenes, and (at least here in the village), not even any presents. But it is a good excuse to buy everyone in the family a new set of clothes, and maybe there will even be kuku (chicken) for supper. Back in December, the wazee (“old men”) were all asking Marc if we were going to celebrate Christmas as a church. (And nothing is a gift quite like something you can eat…at least, that’s how everyone views it around here!) He had to disappoint them by saying that it wasn’t something he felt comfortable doing, given that the early church (Ante-Nicene) did not affirm the “holiday.” He did say, however, that the AN church did consider Christ’s Resurrection day worthy of celebration. Well. Somehow, that turned into a “promise” of celebrating on Resurrection Sunday, and so the wazee came mid-week last week to remind him of this promise. Our deacon, Timothy, was tasked with organizing all the food, laborers, and supplies. 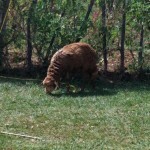 Marc gave him a budget of about $100, and by the next day we had a sheep in our yard. 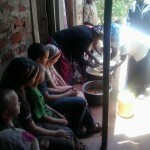 Several of the ladies in our fellowship were commissioned to make chapati, cabbage, rice, and (of course!) ugali. The guy who runs a hotel (restaurant) in the KDM building was put in charge of making the mutton. They would earn a couple hundred shillings each (about $2), and we would all feast. Win-win, especially considering that one of the ladies is disabled, another has been abandoned by her husband, and yet another is a widow.They all struggle, so it’s a real blessing to be able to offer them day labor. On Saturday, Maurice and Ben showed up at our door and asked for a few implements to assist them in slaughtering the sheep, which was done in our side yard. The carcass hung in the KDM office over night. Only in Africa, folks! The Sunday service was packed, so we met outside. 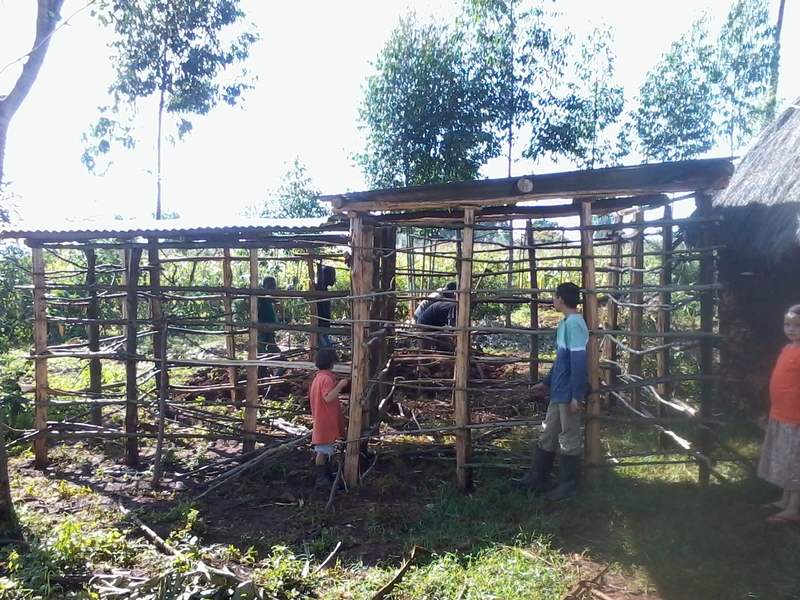 We had about 50 people (including children), from our village “mother church” and our sister churches in Matunda/Milele, Birunda, and Naitiri. With the cost of transport being an issue, we didn’t have any visitors from our fellowships farther away. 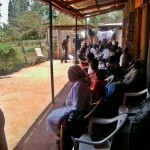 However, the testimonies were very encouraging, and all the brethren enjoyed seeing people from the other fellowships. Our friend, Silas, had a great teaching-turned-dramatization about what a “ransom” is, and why Jesus died on the cross. The meal was amazing, and plates were piled high with food. An 18 month-old boy ate about as much as I did! Our children (the wazungu kids!) don’t eat quite like their African counterparts, so they came back with lots of leftovers on their plates. It seemed a waste, but we just couldn’t communicate well enough that the servers really needed to downsize A LOT. Marc struggled to find a bucket, thinking it would at least serve a purpose as pig slop, but the woman sitting next to me said, “Just give it to the children outside!” Keep in mind, the KDM building is the site of the village water pump, so there are always people around–mostly children, since Moms usually send them when water is needed for the household. Pot over three stones in the background, and in the foreground…a little one who just can’t wait to eat! Of course, in America, most people don’t eat other people’s “seconds,” and I didn’t want to insult anyone, so I said, “You’re sure they will take it?” She said, “Of course!” And sure enough, there were some very happy kids out front who ate what was left on all the plates we brought out. Praise the Lord, a great time was had by all. We are so blessed to continually celebrate Jesus with our brethren here in Kenya. It is true that we, in the West, overwhelmingly think of meeting needs in terms of allocating our financial resources. But here at KDM, we have always believed as Ripken implies: an injection of money into a Kingdom mission that is designed to make disciples is actually detrimental to the health of that mission. The Scriptures are clear that many are led astray by their desire for money (1 Timothy 6:10); unfortunately (because of both colonial and missionary history), East Africa has already been corrupted by the influence of outside money and the power that is exerted with its contribution. Our primary mission is, and always has been, to introduce the authentic Kingdom Gospel and see resulting life transformation in the form of obedience to Jesus. This should naturally result in faithful disciples who make disciples, thereby forming new fellowships of Christ-followers. But because of the color of the missionary’s skin and the association it has with money, many come just seeking assistance. So, as much as possible, we try to separate the mission (which is The Great Commission) from financial assistance. Jesus said to “let your light shine before men, so that they may see your good works and they should glorify your Father in the heavens” (Matthew 5:16). The Apostle Paul also exhorts in Galatians 6:10, “As we have therefore opportunity, let us do good unto all men, especially unto them who are of the household of faith.” We cannot proliferate a Kingdom mission without also modeling the commands the Scriptures in this regard. Yet, it does create a quandary when such assistance is contrary to disciple-making. Now that we’ve been on the ground in Kenya for four years, we have settled on a plan of action which seems to facilitate meeting both goals: the Great Commission and the Great Commandment. First, we (Western missionaries) model the teachings of Jesus by personally helping our brothers and sisters in the church and our neighbors in the village. 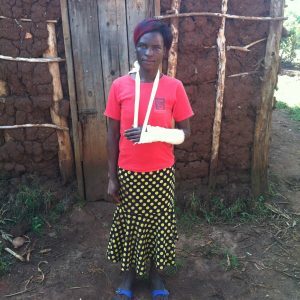 We bandage cuts, give medication off our shelf, and give financially when asked. However, we are careful to articulate that financial gifts are from us personally, in obedience to Jesus’ teaching to “give to those who ask”–it is NOT associated with our church fellowships or the organization of KDM. Sure, there can be some wrong assumptions about that, but we do our best to be clear and to be a good witness in that regard. When assistance is provided through KDM, we leverage our indigenous discipleship and leaders to actually do the work and stand out front, to minimize the association between the mzungu (white person) and money. We also do not “advertise” Kingdom Driven Ministries as an organization when we do any projects or medical missions work. This is in an attempt to keep people from affiliating with our fellowships out of obligation, or in an attempt to find personal benefit. We are also very careful about the types of projects we take on and the work we commit to in the community. Some of this has been learned the hard way, by trying to assist (particularly with microloan/gifts for businesses) and seeing the negative outcomes that have resulted in pretty much every case. We at KDM appreciate the partnership of our donors, and we hope that you appreciate that we try to be good stewards not only of your financial gifts, but also of the health and growth of the Kingdom mission here. In addition to your giving for “the least of these,” please also pray for the medical needs, for the poor, for the malnourished, for those suffering with HIV, and especially for the discipleship and emerging leadership who will soon be responsible for the next generation of believers in East Africa. We praise God for all he has done and will continue to do through our partnership with faraway brothers and sisters in Christ who care deeply about the mission here on the other side of the world.